Split pits in stone fruit can be a real problem for farmers, because fruit that are seriously affected can’t be sold. However, if the damage isn’t obvious from the outside, the fruit are going to the stores just as usual. For me as a consumer and cook, split pit peaches and nectarines are in the best case a nuisance because they need a bit more work than normal fruit, in the worst case, there will be mold on the inside of the pit that also infects the flesh. 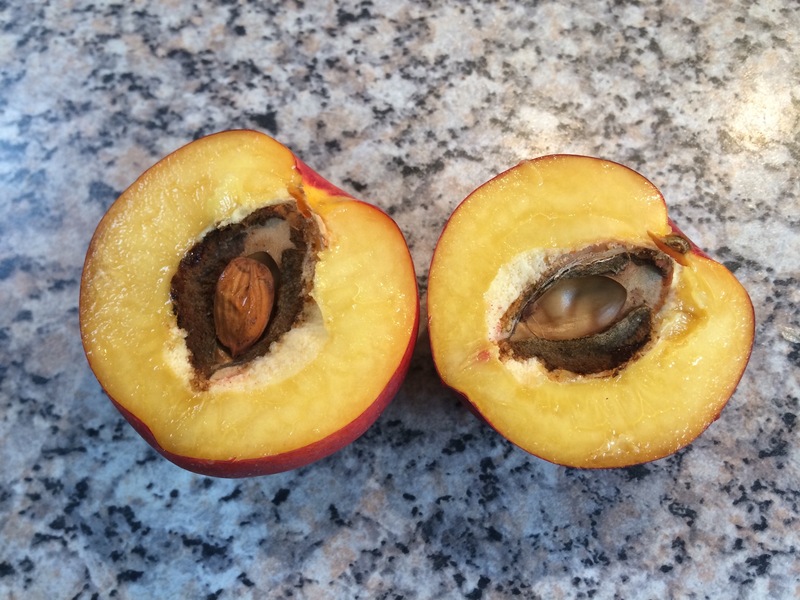 Is there a way to recognize peaches or nectarines with a split pit before cutting them open? Preferably at the store? Not the answer you're looking for? Browse other questions tagged fruit ingredient-selection or ask your own question. What to do with under ripe figs? How far in advance can I prepare a fruit cup? How can I make raisins really hard & chewy?